Following our previous attendance of the Sustainable Seafood Festival press conference in April 2014, we are more conscious when it comes to grocery shopping and consistently makes a special effort to look out for sustainable seafood! As we pursue our modern lifestyles, we are actually using 50% more natural resources than the sustainable levels of the environment. We are actually cutting trees faster than they can grow, putting waste into the environment quicker than they can recycle and we are emptying the seafood in the ocean waters quicker than they can reproduce. We can however make a difference by embarking on sensible choices and start by choosing sustainable seafood in your grocery shopping! You may wish to download this printable guide or check out the online interactive guide which categorises the types of common seafood. 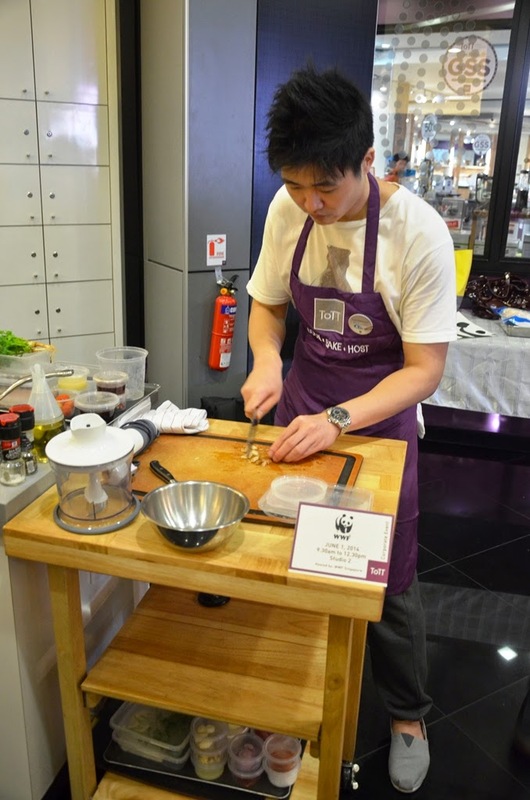 To coincide with the "World Oceans Day" on 8 June 2014, WWF-Singapore is partnering Marine Stewardship Council ("MSC") and Aquaculture Stewardship Council ("ASC") to launch the Sustainable Seafood Festival ("SSF"), a first of its kind in Singapore which runs for a week from 8 - 15 June 2014! The purpose of this campaign is to encourage people to eat seafood from the right sources. As such, SSF is having supermarkets and restaurants aboard. "Sustainability is not just boring, it can also be fun, useful, delicious and make less of a footprint on the planet!" 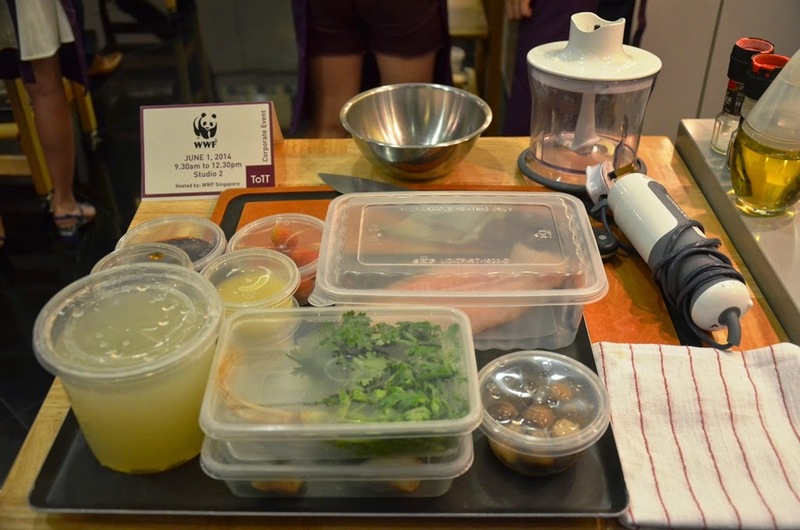 We were more than privileged to be invited to a cooking workshop where we learnt more about whipping up sumptuous dishes with sustainable seafood under the guidance of Chef Lucas Glanville, Executive Chef of Grand Hyatt Singapore. 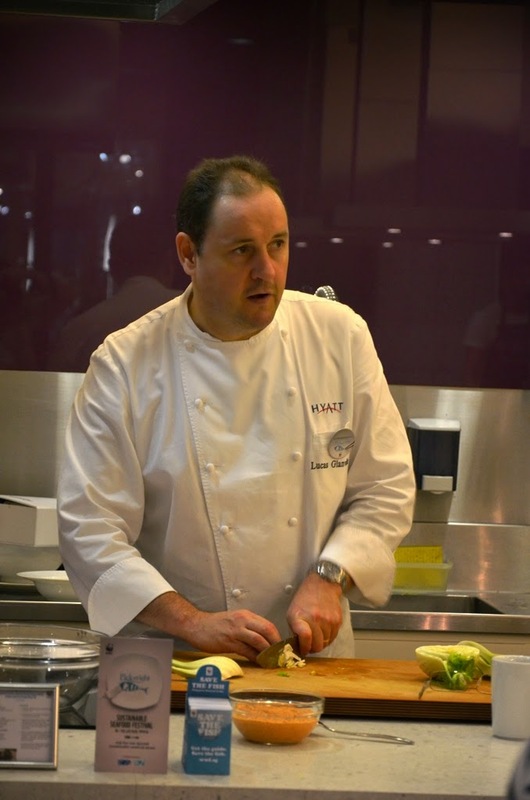 With more than 28 years of culinary experience, Lucas has been sharpening his knives at restaurants such as Mayfair's Le Gavroche in UK and The Point on Albert Park Lake in Australia. 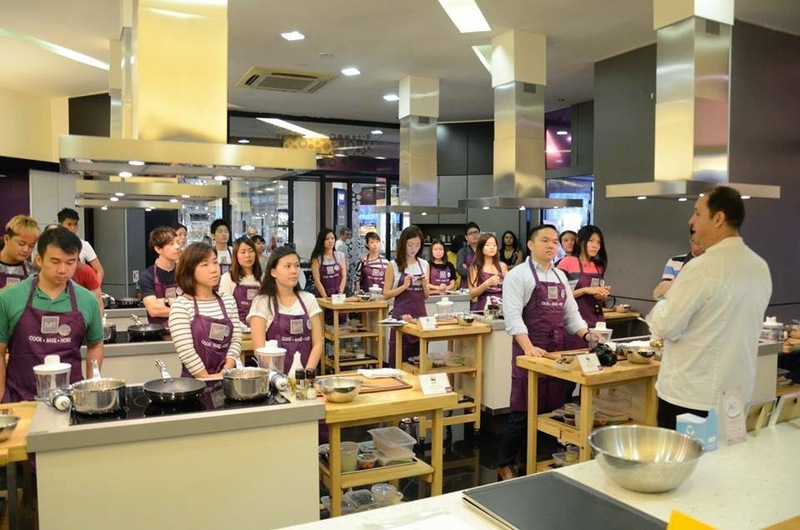 Let us find out more as we embarked on our very first professional cooking class! Group of food and lifestyle bloggers listening attentively to Chef Lucas on cooking instructions. We have always been huge fans of reality cooking TV shows such as Masterchef Australia among many others and we were really excited when we finally settled at our work station! Preparing our tom yum broth! Chef Lucas slicing the fennel with complete ease without even looking! Newbie me having a go; despite my undivided attention, I din't quite manage to do a simple task well and ended up slicing my finger! To make the sauce tarator, combine all ingredients into a food processor and blend into a fine paste, season with salt and pepper and a few drops of lemon juice. Add the softened butter and pulse; once all ingredients are combined, add the breadcrumbs and season to taste with salt and freshly grounded black pepper. 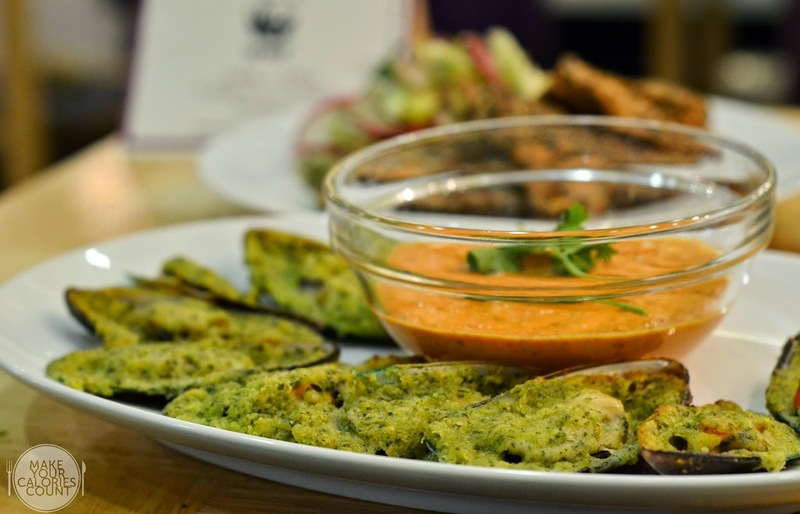 Cover each mussel with some of the garlic and parsley butter. Lay them on a baking tray and bake in an oven at 180 Celsius until crisp and golden brown. Serve immediately with lemon and sauce tarator on side. 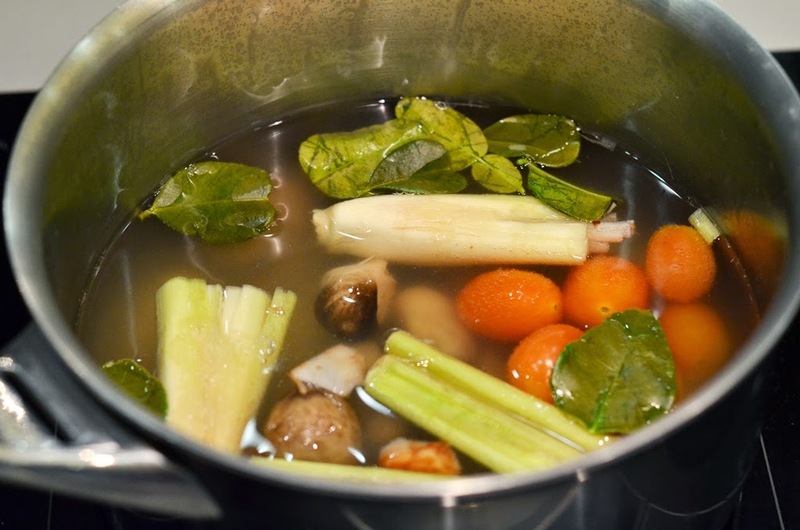 In a pot, add chicken stock, lemon grass, kaffir lime leaves, galanga, coriander root, Thai cherry tomatoes and straw mushrooms and gently simmer for one hour. Season with fish sauce, lime juice, chilli paste and then bring to a boil. Taste and ensure that seasoning suits your palate. Add Basa fish and cook for two minutes on a low heat. 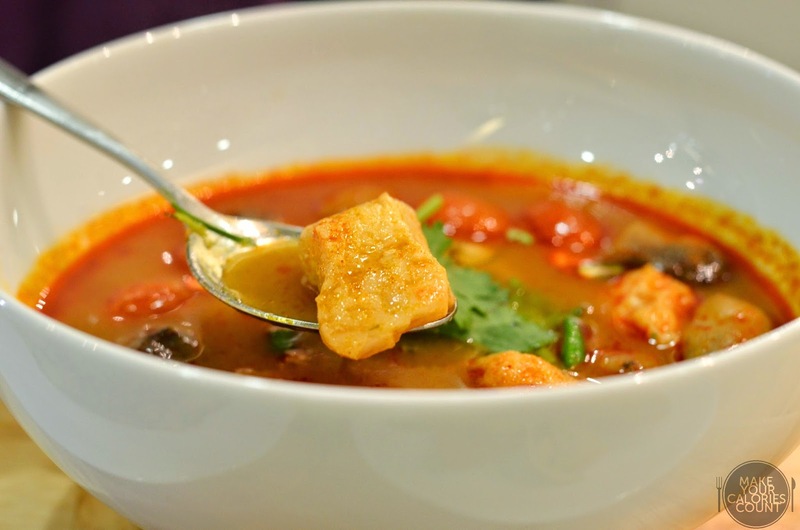 Remove from heat, serve in a bowl and garnish with red, green chilli and coriander leaves. 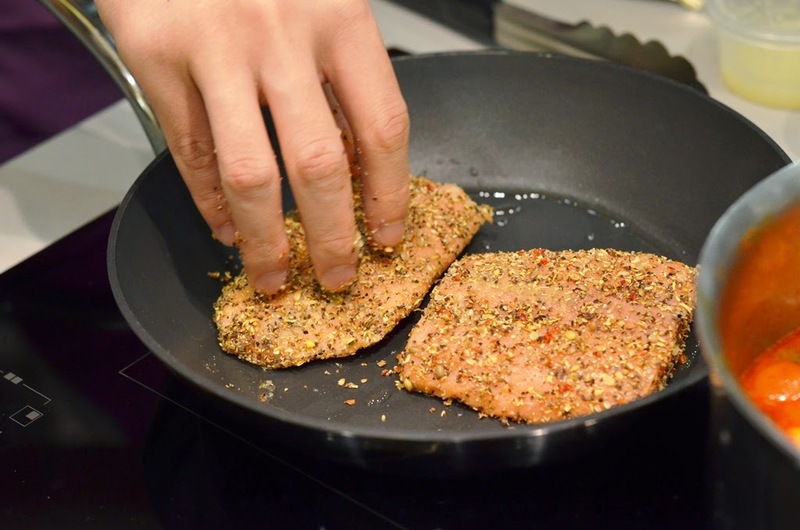 For the salmon pastrami, combine all ingredients together from the spice rub. Dust the spice rub over the salmon and leave to season on the side. Shave the fennel bulb and the radish with the mandoline into a bowl; add dill leaves, extra virgin olive oil and season with salt, pepper and lemon juice. Heat a non-stick frying pan, add a little oil and gently cook the salmon for a minute on each side, depending on the thickness of the fish. 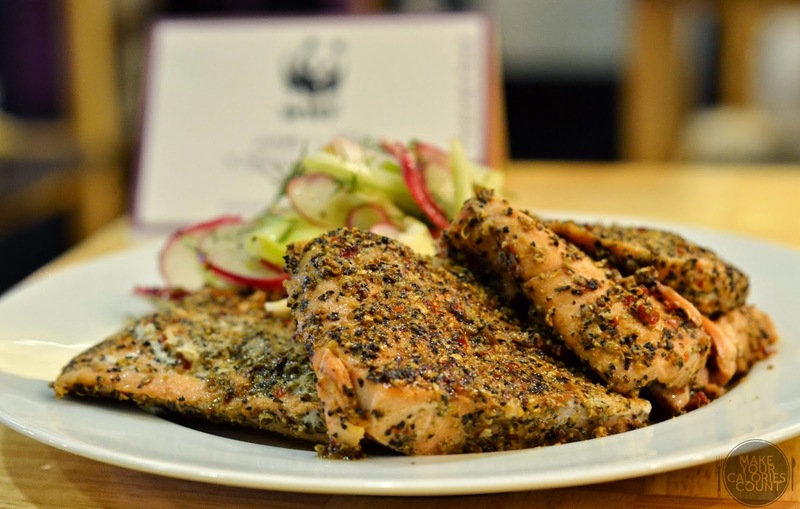 Arrange the fennel salad next to the salmon pastrami and drizzle a little more olive oil over the salmon. All recipes are kindly contributed by Chef Lucas. Do your part for the environment that you live in by paying attention to your food source today! Although the Sustainable Seafood Festival is only running for a week in June, our responsibilities do not end with the festival. 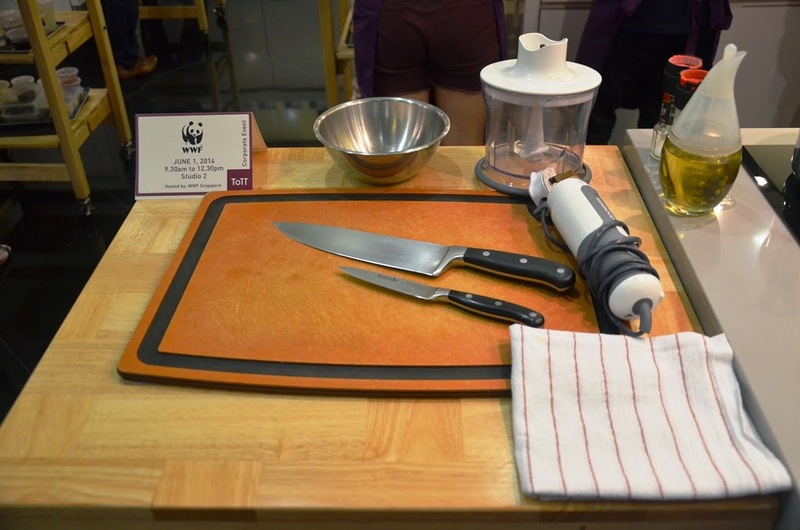 Over the course of June till September 2014, there will be a stream of marine conservation-themed roadshows and exhibitions held across Singapore to educate the public on the need for responsible seafood consumption in order to long term food security. Please help to spread the word to make sure that everyone can do a small part for the environment! P.S: Special thanks to Chenyze and WWF Singapore for the invitation!